This year's course of 17th-century music for voices and instruments celebrates the 400th anniversary of the birth of Johann Rosenmüller (1619 - 1684). Following his early career in Leipzig, Rosenmüller spent over twenty-five years in Venice before returning to Germany. The result is a fine blend of Italian and German styles in appealing and approachable sacred music, and in the excellent sonatas in two to five parts published in 1682. William will direct the large-scale choral pieces with five-part string ensemble such as Lauda Jerusalem and Also hat Gott as well as choral pieces with continuo only. For those who wish to have the opportunity to sing solos, we will explore some smaller-scale works for one or two voices with instruments. 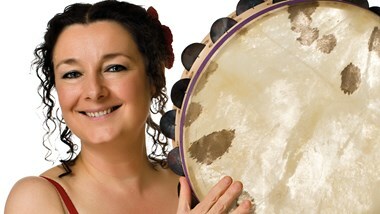 Players will also have the chance to work with Theresa on instrumental music from the 1682 collection. The course is for a chamber choir of up to twenty singers with an ensemble of baroque strings and continuo. We can offer places for up to six violins, four violas or viols, two cellos or bass violins, one bass viol, two harpsichords (and/or organ) and one theorbo. String players with modern set-ups are welcome if they use gut strings and baroque bows, and preferably have some experience of baroque style. We will be working at A=415. Both singers and players need to be confident sight-readers. Visitors to Benslow Music are alerted to work on a new building for the Benslow Music Instrument Loan Scheme (BMILS), due to start on 23 April 2019. Our normal activity (courses, concerts, events, Bed & Breakfast, visits to the Loan Scheme) will continue as scheduled during the construction period. The building, sympathetically designed by Jon Read of Pentangle Design Group, Hitchin, is to provide specialist storage for the BMILS collection of quality instruments while not on loan, more spacious administration and reception space, a generous workshop for our in-house luthier, and a trial room. The new building is to be located between Fieldfares and the beehives. Access to Fieldfares from Benslow Music will remain as it is currently, via the main drive (or beside Waldeck) to the front door. Construction workers (from the family firm of D B Sharp and Sons, Letchworth) will enter from the gateway to Benslow Lane close to Fieldfares and cross the current drive direct to the building site from beside the Fieldfares garage. This vehicle movement will be carefully managed. The site will be securely fenced, allowing for egress from all doors to Fieldfares. Work is expected to last until late October 2019, taking place on weekdays between 8am and 4pm. There will inevitably be some noise but disruption will be kept to a minimum. We anticipate very little restriction to existing car parking arrangements (but please continue to park sensitively). We trust that this will not have an adverse effect on your stay. Thank you for your understanding.